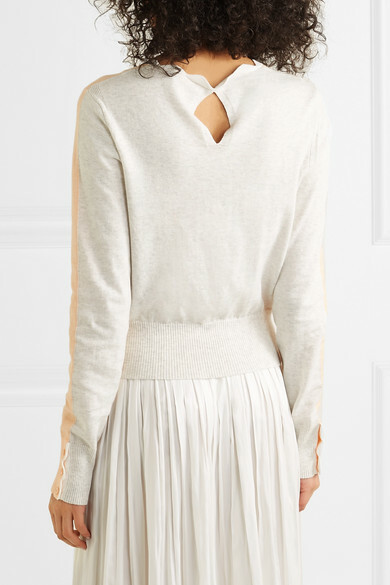 See By Chloé's two-tone sweater is spun from lightweight cotton-blend with touches of soft cashmere in neutral hues. 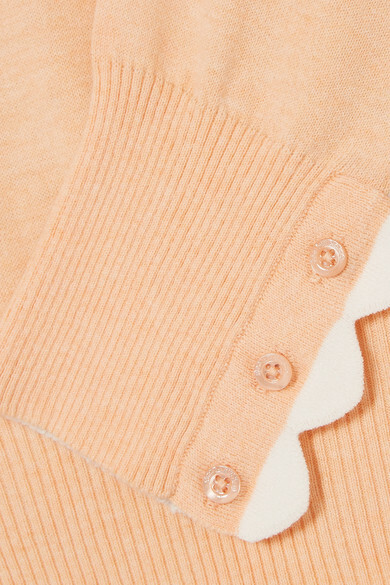 KNitted for a slightly loose fit, it's outlined with signature scalloped edges. 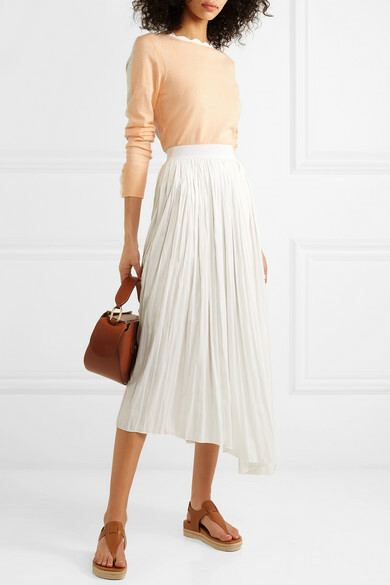 The ribbed hem will keep it in place when you tuck it into pants or skirts. Shown here with: Isabel Marant Skirt, Wandler Shoulder bag, Vince Sandals.